"PPNZ" redirects here. For for the New Zealand political party, see Pirate Party of New Zealand. Recorded Music NZ offers services under three areas: Member Services (the New Zealand Music Awards, The Official NZ Music Charts, Music Grants and direct services to artists and labels), Music Licensing (undertaken independently or in most cases, via OneMusic, a joint licensing venture between Recorded Music NZ and APRA) and Pro Music services regarding copyright protection and corporate affairs. Recorded Music NZ is also a joint trustee (with APRA) of the NZ Music Hall of Fame. The New Zealand Music Awards, conferred annually by Recorded Music NZ, honour outstanding artistic and technical achievements in the recording field. The awards are among the most significant that a group or artist can receive in New Zealand music, and have been presented annually since 1965. The awards show is presented by Recorded Music NZ, and as of 2017 Vodafone New Zealand is the principal sponsor. A range of award sponsors and media partners support the event each year. The New Zealand Music Awards are conferred annually by Recorded Music NZ for outstanding artistic and technical achievements in the recording field. The awards are one of the biggest awards that a group or artist can receive in music in New Zealand. The awards have been presented every year since 1965. As RIANZ, Recorded Music NZ was instrumental in attempting to introduce a possible version of Section 92A Copyright Act. 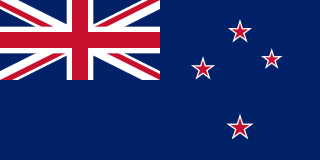 The amendment would have required ISPs in New Zealand to disconnect users accused but not convicted of downloading copyrighted material – the first law of its type in the world. The amendment and consequently the RIANZ's actions have been widely criticized. ISPs described the law as "a deeply flawed law that undermines the fundamental rights and simply will not work",  while thousands of artists have joined the Campaign for Fair Copyright voicing their "disappointment"  at the RIANZ stance. However, the version was ultimately dropped, and Section 92A of the Copyright Act has now been replaced by Section 122A the Copyright (Infringing File Sharing) Amendment Act 2011 which came in force from 1 September 2011. The Irish Recorded Music Association (IRMA) is a non-profit association set up in 1999 to promote certain interests of the music industry in the Republic of Ireland. It is particular active in addressing copyright issues, and it compiles the official music charts for Ireland. The discography of Enya, an Irish singer-songwriter, consists of eight studio albums, three compilation albums, twenty-one singles and a number of other appearances. Enya achieved a breakthrough in her career in 1988 with the album Watermark, containing the hit song "Orinoco Flow" which topped the charts in the United Kingdom and reached number 2 in Germany. Three years later, Shepherd Moons followed. In 1992, a re-mastered version of the 1987 Enya album was released as The Celts. Four years after Shepherd Moons, she released The Memory of Trees (1995), another top five success in both the UK and Germany, as well as her first top 10 album in the US. Singles released from the album were "Anywhere Is" and "On My Way Home". In 1997, Enya released her greatest hits collection, Paint the Sky with Stars: The Best of Enya, again a top five album in the UK and Germany, which featured two new songs: "Paint the Sky with Stars" and "Only If...". Following a five-year break, Enya released the album A Day Without Rain in 2000. The album is Enya's most successful to date, peaking at No. 2 on the US Billboard 200 albums chart. The first single, "Only Time", was used in the film Sweet November and peaked at No. 10 on the US Hot 100 and number 1 in Germany. American singer Britney Spears has released nine studio albums, seven compilation albums, 42 singles, nine promotional singles, and has made three guest appearances. In 1997, Spears signed a recording contract with American record label Jive Records in order to launch her career. "Don't Call Me Baby" is a song by Australian house duo Madison Avenue. The song is the band's biggest hit, reaching number one in New Zealand and the United Kingdom. In the duo's home country, the song peaked at number two for six non-consecutive weeks. The song features a bassline sample from "Ma Quale Idea" by Italo disco artist Pino D'Angiò, which in turn is based on "Ain't No Stoppin' Us Now" by McFadden & Whitehead. The discography of Ronan Keating, an Irish pop singer contains ten studio albums, one compilation album and twenty-six singles. His solo career started in 1999 and has spawned nine albums. He gained worldwide attention when his single "When You Say Nothing at All" was featured in the film Notting Hill and peaked at number one in several countries. As a solo artist, he has sold over 20 million records worldwide alongside the 25 million records with Boyzone. 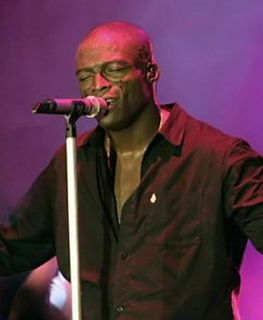 English singer and songwriter Seal has released ten studio albums, four live albums, two compilation albums, forty-three singles and four video albums. The discography of British pop group Steps, contains five studio albums, seven compilation albums and eighteen singles. 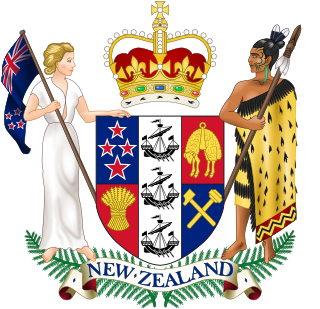 The copyright law of New Zealand is covered by the Copyright Act 1994 and subsequent amendments. It is administered by Business Law Policy Unit of the Ministry of Business, Innovation and Employment (MBIE). In June 2017, a review of the existing legislation was announced. The Copyright Act 1994 is an Act of Parliament passed in New Zealand that, along with its various amendments, governs copyright in New Zealand. It is administered by Intellectual Property Policy Unit of the Ministry of Economic Development (MED). "Even When I'm Sleeping" is a song by Australian Indie rock and Indie pop group Leonardo's Bride, which was the second single from their first studio album, Angel Blood. Released in 1997, "Even When I'm Sleeping" peaked at No. 4 on the Australian Recording Industry Association (ARIA) Singles Chart in July 1997 and was certified Gold. The singles discography of Australian recording artist Kylie Minogue consists of 74 singles and fourteen promotional recordings. 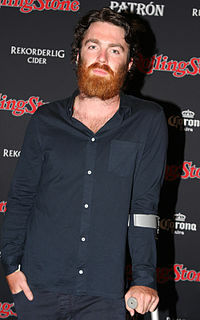 Nicholas James Murphy, also known as Nick Murphy or most commonly by his former stage name Chet Faker, is an Australian singer and songwriter. In 2012, he issued an extended play, Thinking in Textures, and signed to Downtown Records in the United States. In October 2012, he won Breakthrough Artist of the Year and Thinking in Textures won Best Independent Single/EP at the Australian Independent Records Awards. In January 2013, the work won Best Independent Release at the Rolling Stone Australia Awards for 2012. Peking Duk are an Australian electronic music duo made up of disc jockeys and music producers Adam Hyde and Reuben Styles. The pair first garnered attention in 2012 with the release of a Passion Pit bootleg remix. Their biggest hit "High" reached 5 on the ARIA Singles Chart, achieved a triple platinum certification and won the ARIA Award for Best Dance Release at the ARIA Music Awards of 2014. The discography of Kimbra, a New Zealand indie pop singer, consists of three studio albums and sixteen solo singles, as well as fifteen music videos. Her biggest international hit to date is her collaboration with Gotye, "Somebody That I Used to Know", which reached #1 in several countries, including the United States, the United Kingdom and Australia, as well as in Kimbra's native New Zealand. ↑ Slatherly, Dan. "Music bodies RIANZ and PPNZ merge". 3 News. Retrieved 11 June 2013. ↑ "About Us". Recorded Music NZ. Archived from the original on 16 June 2013. Retrieved 11 June 2013. ↑ Derby, Mark (22 October 2014). "Recording companies and studios - The digital era, 1990 to 2000s". Te Ara Encyclopedia of New Zealand. Retrieved 4 September 2017. ↑ "New Zealand Music Awards". RIANZ. Archived from the original on 14 September 2011. Retrieved 11 June 2013. ↑ "ABOUT THE CHART". NZ Music Charts. Retrieved 11 June 2013. ↑ "New Zealand First to Adopt 3-Strikes Law for Pirates". Torrent Freak. 17 October 2008. ↑ "Thousands of Artists Against Guilt Upon Accusation Laws" Archived 1 February 2009 at the Wayback Machine . Creative Freedom. Owen, Dylan (29 June 2002). "History of recording in New Zealand". Discover: Te Kohanga Taonga. National Library of New Zealand . Retrieved 6 September 2017.